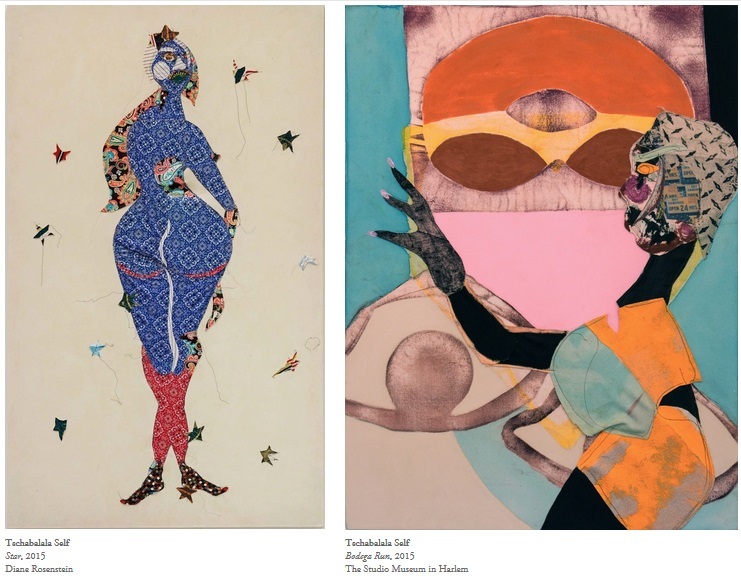 You know you are in fine company when the artwork of your Ploughshares journal features a beautiful black woman, lets call her Star, created by Tschabalala Self--a young gun whose prowess looks like the bliss that would happen if Kerry James Marshall, James Baldwin and Wangechi Mutu made a baby. I was thrilled to receive my copy of Ploughshares, Winter 2016/17. Besides Self's gorgeous cover, I also enjoyed reading Roohi Choudhry's essay, The Undertaker's Home. Set in remote Ireland, the piece deftly asks what does it mean to belong? Where is home and its space in our memory and can homelessness be a kind of home? Pondering these questions in light of the political #NOMUSLIMBAN firestorm we barely survived this weekend brings the plight of refugees and displaced people to the fore in a fresh and tender manner. My contribution, The Caretaker, is as much a story about forgiveness and political displacement--in time and in your very own neighborhood--as it is about rabies and rabid forces entering the communal bloodstream. The kernel for the story was inspired, like much of my work, by a conversation with my mother. My mother's wisdom, gleaned from resisting an oppressive and fascist state, has also been much on my mind. I'm thinking a lot about art and artists as a bulwark against kakistocratic conformity and despotic control. I'm also thinking about my childhood and what living in a state of fear did to creativity, to intelligent discourse and to softer things in the mind, like dreams and memory and stories of self. It is a dark time in America. Of that I am sure; especially after this weekend. The media is under attack, religious affiliation has become grounds for deportation and leaders of "alternative facts" are quoting George Orwell's 1984 without any of his irony. "War is peace. Freedom is slavery. Ignorance is strength." And yet. And yet, I have my mother who is nothing if not light. We are light. And light reigns over every dark. Even when it's a lone, uncertain night star, light shines through the dark. ps. I took a very dangerous (Oops--there goes all my time, not to mention #fomo) step and set up an Instagram account: @magogodimakhene. Come say hi. pss. Ploughshares is a banging publication worthy of your fine dollars, but it's a beast to find anywhere. Hit me up and I'll gladly share a copy of The Caretaker with you.